A visit to Charleston isn’t complete without a leisurely stroll through the South of Broad neighborhood. 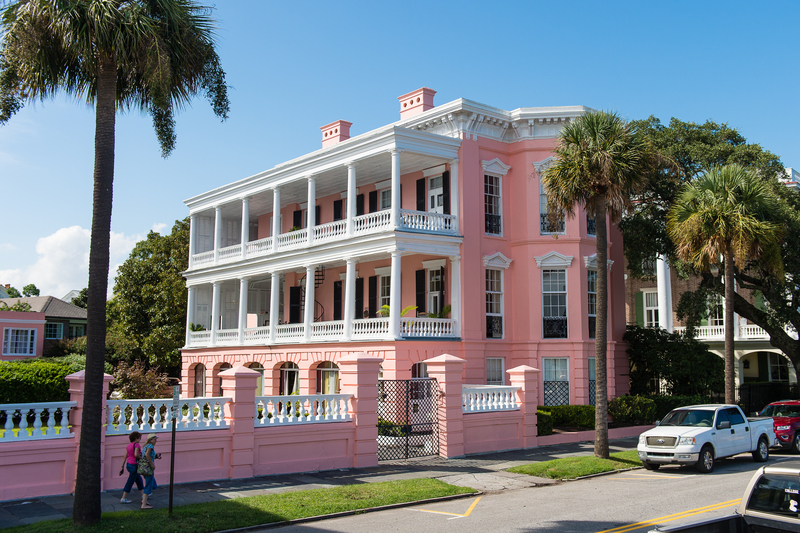 After all, it’s home to some of the Holy City’s most iconic vistas (like the pastel-hued Rainbow Row, Battery seawall, and cannon-lined White Point Gardens), and the historic streets are lined with architectural stunners, from grand Antebellum homes overlooking Charleston Harbor to ornate Italianate house museums to classic Charleston singles. Yet the neighborhood itself—which, as its name implies, consists of a grid of streets located south of Broad Street, one of the peninsula’s main thoroughfares running from the Ashley River on the west to the Cooper River on the east—is no museum. 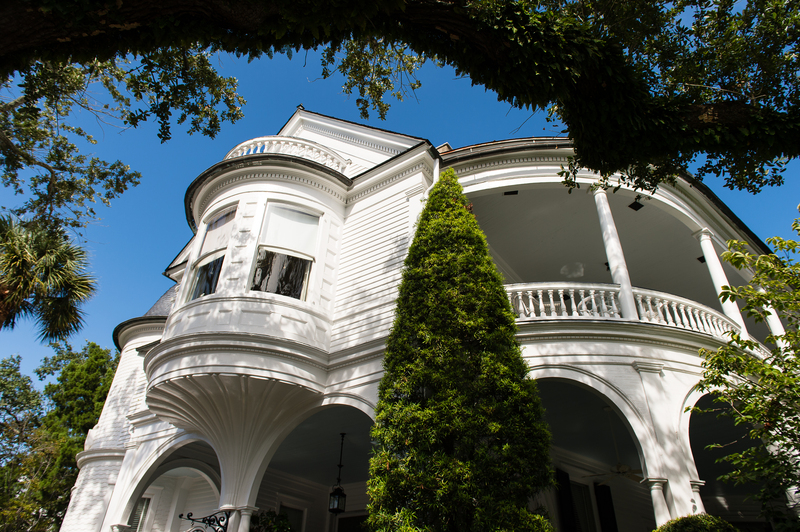 These storied homes, many dating back to the 18th and 19th centuries, are lived in and loved today, with their residents enjoying some of the most charming views Charleston has to offer, along with delicious restaurants and quaint shops aplenty—all within an easy walk along bluestone sidewalks. Read on for a guide to this beloved part of town. WHO LIVES HERE: South of Broad has perhaps the highest concentration of historically significant homes in the city, many of which wear placards denoting the home’s architectural and historical relevance or a Carolopolis Award (a badge of honor given for top-notch historical preservation efforts). Homeowners within this neighborhood are longtime locals as well as newcomers committed to historic preservation and wanting a quintessential Charleston home. WHERE TO EAT + DRINK: Broad Street’s federal-style streetscape holds many delicious eateries. Our favorites include Gaulart & Maliclet all-day cafe (also known as Fast and French), Oak Steakhouse, One Broad Street, and The Establishment—a chic new seafood restaurant. For upscale bar eats and a lively outdoor patio, we head to Blind Tiger Pub. And don’t miss Goat. Sheep. Cow.—Church Street’s gourmet specialty cheese shop. WHAT TO DO: Truly, you can spend hours meandering through South of Broad’s picture-perfect neighborhoods, reading the illuminating placards and spotting window-box gardens as you go. If you want an inside look at the homes, tour The Calhoun Mansion, the Heyward-Washington House, or Nathaniel Russell House—three of the city’s impeccable house museums. 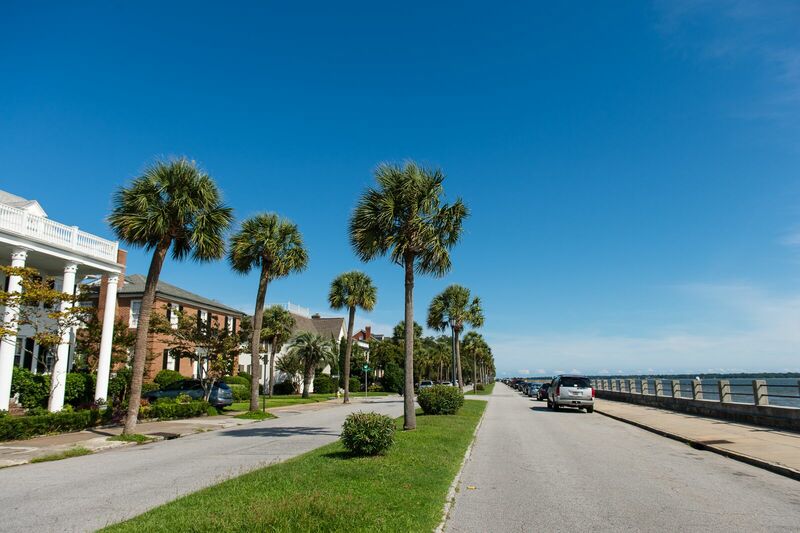 Pop into the original art galleries on Broad and East Bay Streets, and don’t leave the area without snapping a photo of Rainbow Row, walking beneath the ancient oaks in White Point Gardens, and looking out toward Mount Pleasant, James Island, and Fort Sumter from the Battery wall’s promenade. WHERE TO STAY: A few delightful B&Bs are peppered throughout the area. Two Meeting Street Inn—a Queen Anne-style mansion overlooking White Point Gardens—is a favorite. And on Broad Street, the John Rutledge House Inn and Governor’s House Inn offer stately accomodations in historic homes once-visited by political greats. For a more modern room, try The Vendue, a boutique hotel located just north of the neighborhood on Vendue Range.